New School Student Application Deadline Extended to April 8th for our upcoming 2018 Democracy & Diversity Institute in Wroclaw, Poland! Due to numerous inquiries regarding applying to this summer’s Democracy & Diversity Institute in Wroclaw, Poland, we have decided to extend the application period for New School applicants to April 8th, 2018! Don’t miss the opportunity to join us for this interdisciplinary, comparative, and highly interactive approach to the social, political, and cultural challenges facing today’s world… Apply today! 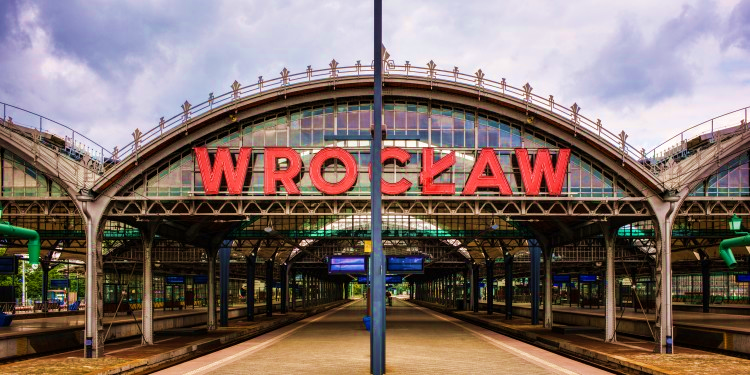 The Transregional Center for Democratic Studies (TCDS) at the New School for Social Research is happy to announce that Full Program Information as well as applications are now available for our 27th annual Democracy & Diversity Graduate Institute to be held at The New School summer campus in Wroclaw, Poland, July 6-22, 2018! This years Institute will be themed Shifting Ground: The Politics of Fiction & Reality Today. If you are interested in applying, have question about fees, credits, etc., or would like to discuss the program in more detail, please email us at tcds@newschool.edu. We look forward to hearing from you and we hope you will join us in Wroclaw this summer! Widely admired as an intimate international forum for lively but rigorous debate on critical issues of democratic life, the D&D Institute brings an interdisciplinary, comparative, and highly interactive approach to the social, political, and cultural challenges facing today’s world. This year we are particularly proud to have among our faculty Professor Agnes Heller, one of the most distinguished thinkers of our time. We will explore tragedy as a literary genre that presents clashes between two opposite value systems and systems of beliefs, carried on by two protagonists. Initially the content of tragedy was provided by mythology, and then it was history that provided its substance. We will ask the question: Why have modern class societies not “produced” tragedies, but comedies, with the exception of those that focus on clashes between cultures, and between genders? Why was it the absurd drama that replaced comedy? Why is it that mass society has not produced its own representative drama? In the seminar we will discuss 5 major theories of tragedy and tragic theater as generated by different socio-historical epochs. We will read dramas, including at least one play of the theater of absurd, e.g Waiting for Godot. Democracy – a major political imaginary in the last two centuries — has lost its aspirational role, and seems to be in retreat everywhere. What are the social factors and political forces that have facilitated the emergence of a striking phenomenon: a transition FROM democracy? Trying to understand the appeal of an illiberal order and a retreat from the intellectual legacy of the Enlightenment, this seminar explores recent attempts by two competing forces to recast the democratic promise: nationalism and populism, both of which — in their varied historical and modern expressions – speak as we the people. While examining the plurality of concepts and forms of nationalism and populism, we will discuss a new fusion of ethno-nationalism, xenophobia, and ultra-populism that plants fear, distrust and does not shy away from violence. But we will also look at instances of the kind of inclusive social engagement — critical to any democracy — in which the key identity of its actors is that of citizens enacting democratic practices, in which the good of society as a whole is what’s at stake. Our discussions will consider material from a variety of sources and examine cases from different parts of the world, including Europe and the United States. For all New School applicants, the extended application deadline is April 8th, 2018. For all other applicants, the application deadline is April 2, 2018. For more information, please visit our website: http://blogs.newschool.edu/tcds or contact us by e-mail at tcds@newschool.edu or by phone at (212) 229-5580 ext. 3137.